Vegetarian lovers, we have good news for you! 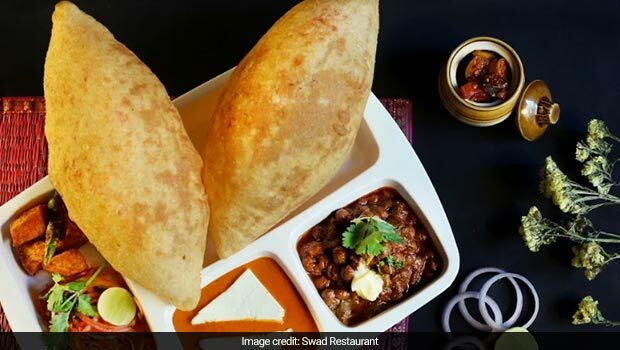 Nehru Place in New Delhi, a hot-spot that bustles with pubs, popular eateries, cafes and other interesting places, has opened its doors to a fancy vegetarian restaurant called Swad - Desh Videsh Ka that offers an elegant dining experience. As the name suggests, the restaurant delivers an array of delicacies from India and other countries. 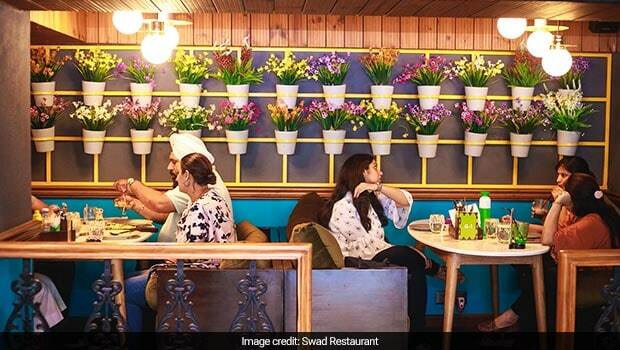 While Swad provides for a casual dining experience, it also facilitates a wide range of fast food options. In fact, it operates as a fast food restaurant till 6:00 pm and post that turns into a casual dining restaurant. 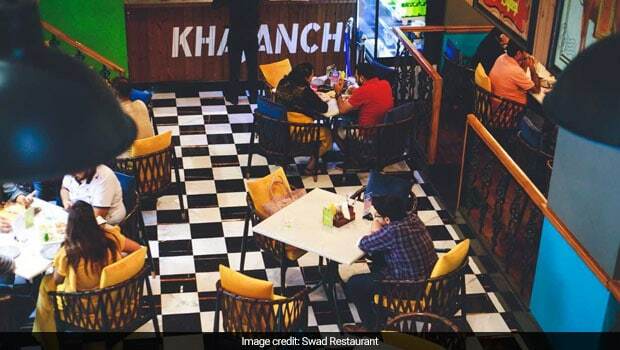 The contemporary Indian seating and Irani cafe-inspired decor of the restaurant gives it a unique yet appealing look. The colourful interiors with beautiful portraits, depicting every day of India, cannot go unnoticed. Spread across two floors, this place has a live kitchen on the ground floor. The ambience is surely a delight and what's better when it's teamed with good food. Inculcating vegetarianism, Swad brings vegetarian delicacies from all over the world and present it in your platter, the Indian way. Its menu puts a range of vegetables in the spotlight, featuring sourced and seasonal ingredients. While the restaurant specialises in gourmet street food with modern Indian flavours, it also offers European, American, Asian, Mediterranean and Italian cuisine. The highlights of the menu were dahi bhalle that were soft and tender, spring rolls with a delicious sweet chilli sauce, colourful varieties of dumplings with spinach, paneer and vegetable fillings, kadhai paneer dosa, cheese Mysore dosa, seekh kebab with mint air chutney and Amritsari chhole bhature. The main course had Thai curry with rice; dal makhani, paneer lababdar and soya chaap teamed with lachcha paratha and butter naan. The drinks menu features several fresh juices, fizzy mocktails and delicious shakes, prepared using freshly made syrups and bitters. While we loved the expansive drinks menu, the showstopper was the strawberry flavoured aam panna called 'strawberry kiss' that not only had a unique taste but also ensured a refreshing tang. 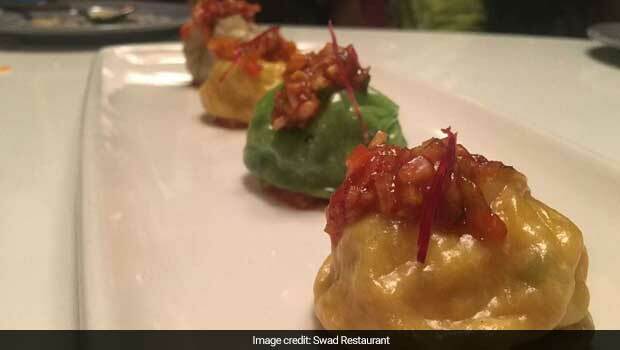 If you wish to satiate you sweet cravings, Swad is the place to be. 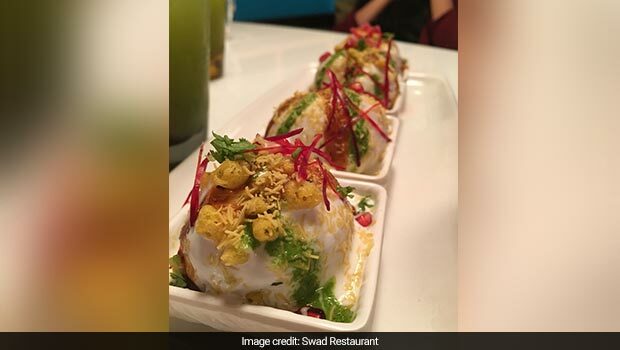 The restaurant offers a range of desserts like gulab jamun with rabdi, paan flavoured kulfi, chocolate barfi and moong dal ka halwa among others. 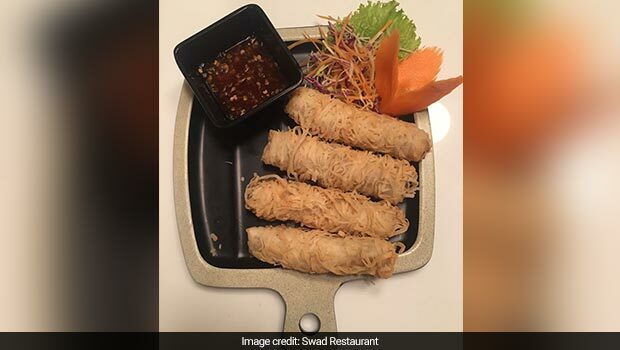 If you are planning to visit Swad anytime soon, do try the crunchy spring rolls with garlic chilli sauce, seekh kebab served in a bed of rice papad, slathered across with a creamy dip. You can also go for Mysore cheese dosa, which was masaledar and cheesy - a combination to die for! You must also try the Thai curry that had just the right mix of coconut milk and vegetables along with a melange of spices and herbs. 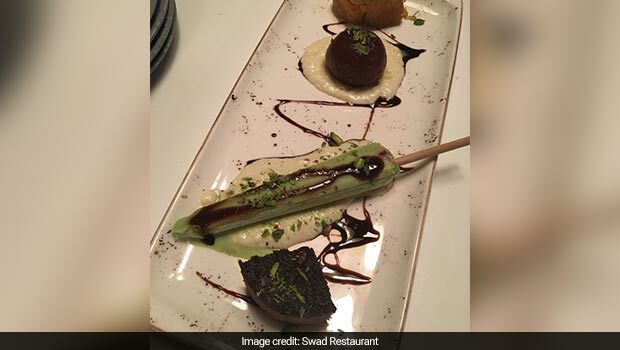 For the desserts, go for gulab jamun with rabdi, that's a combination you'd hate to miss, and the paan-flavoured kulfi. 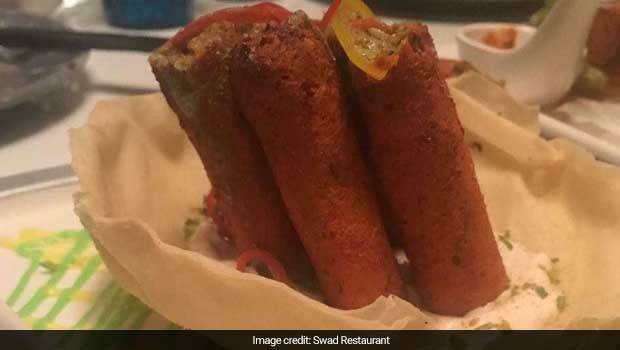 Swad restaurant is surely a food heaven for vegetarian lovers. It has got a fresh look and appeal, and above all, the food is great and wouldn't cost you a bomb.